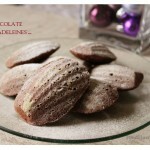 Madeleine Pan + Test Recipe. Latest baking equipment purchased. I understand that it is a uni-tasker (Alton Brown might not approve) … but can’t have Madeleines without, so we shall make an exception. 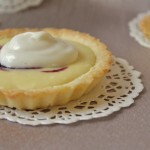 Delightfully delectable mini blueberry cheese tarts; these are very popular back home and have a very distinct look about them. 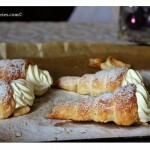 Sweet pastry dough filled with creamy cream cheese, with a blueberry swirl. 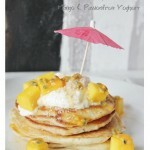 So happy to have found the recipe and I can now share it with my readers. 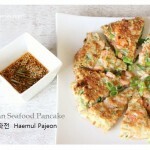 Lately I have been all about the Japanese/ Korean YouTube surfing and I came across this recipe that seemed very interesting. 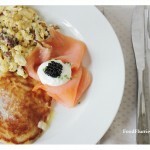 I do enjoy savoury pancakes of this nature but I never knew how to make them myself … until now. Simple ingredients may go a long way here. 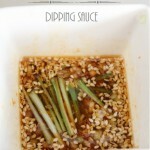 Recipe for a wonderfully versatile dipping sauce that goes with so many Asian goodies. Lots of fresh ginger, soy sauce and spicy chilli oil for that added kick. These Japanese sure have a wide variety of interesting snacks. 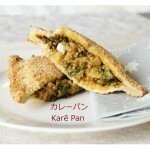 This one is called karē pan, a deep-fried snack made of everyday white bread, leftover curry and panko crumbs. Looks good. Tastes great! 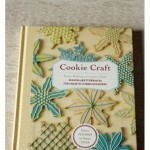 It has been a while since I last bought a new cookbook, but I have now, and today I share with you my latest purchase ~ a ‘How To’ guide into the world of cookie craft. Also I’ll be sharing stories of my misadventures in the kitchen as I attempt to make sugar cookies. A happy coincidence that turned out well in my favour. 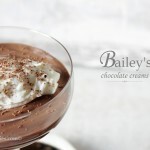 This is a super simple dessert that can be whipped up in a matter of minutes and it uses all the basic ingredients that’s lying about your kitchen … except perhaps the Irish Cream liquor. Not one for the kids, mind!